The other day, we witnessed a famous triathlete (whom we won’t name) ‘hit the wall’ midway during a triathlon. He had to retire halfway through the bike section of the race! It wasn’t lack of conditioning or improper training that caused him to bonk. Instead, it was miscalculated long-run nutrition. Having witnessed the event firsthand, we figured it was a great time to create a list of the best energy gels for our readers. Oh yes, those pocket-sized gooey lifesavers that tuck into your jersey pockets and deliver an instant glycogen boost (with some caffeine to boot). Like it or not, there’s no better source of instant-energy on a size-to-nutrition perspective. Having a few of these can keep your body fueled for any long-distance sporting event. Fuelling up during a race is critical, but choosing one of these isn’t as simple as walking into a supermarket and picking a granola bar. Energy gels have exploded in popularity off-late and the market today is flooded with hundreds of varieties, many of which are overloaded with more carbs than what one typically needs. That’s a ticket to gastric distress folks. Others taste like industrial byproducts and you’d do well to push that down your throat even with a beverage amidst a run or a cycling event. To make things easier, we tried the most promising ones for their palatability, energy, size and ease of access and rated them accordingly. This isn’t the most definitive list of options you have because we know that different people react differently to nutritional products and some of these may or may not agree with you. However, we have tried to jot down the best features as well as highlight any nits in an unbiased fashion. We hope this helps you make an informed choice. 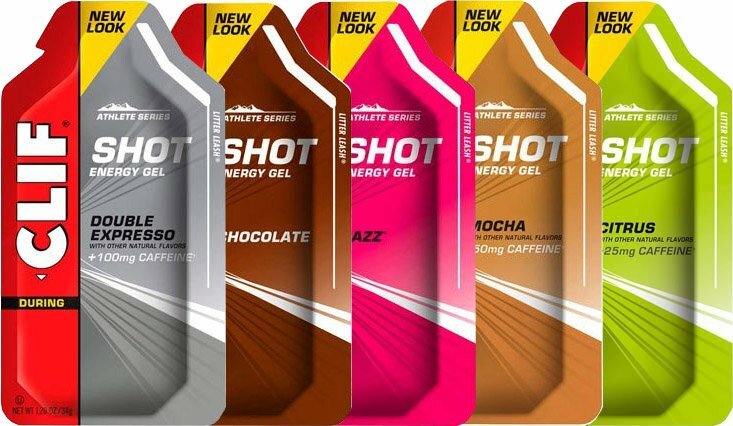 Here’s our review of the best energy gels. 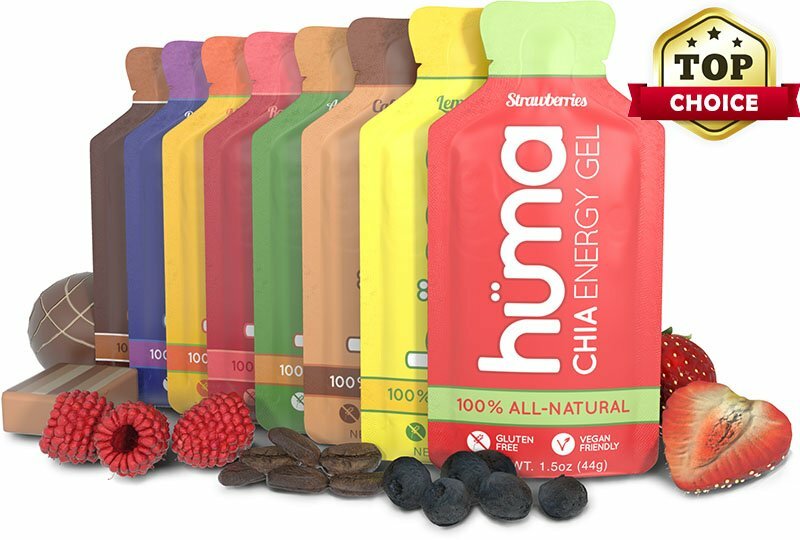 Huma, a recent entrant into the world of endurance sports nutrition, draws its name and inspiration from the Tarahumara tribe of Mexican Indians, or so it claims to. Despite the fancy name and the unique ingredient blend, this gem of an energy gel is our personal favorite in this list. It tastes fantastic and has an impressive nutritional profile that goes beyond the typical carbohydrate-caffeine mix. Ingredients: The Huma Gel contains 24gms of carbohydrates in a single pack which is similar to most other brands. But it’s the carbohydrate source that differs. Huma uses a blend of fructose and cane syrup. That’s a natural sugar mix that’s absorbed faster and will be gentler on your tummy. The electrolyte content is equally impressive. It packs in 240mg of Sodium, 60mg of Potassium, 25mg of Calcium and 14mg of Magnesium. And to top it off, there’s a chia seed blend that gives it a unique texture and throws in some fiber to aid in digestion. Palatability: We found the taste, consistency and flavoring spot on. We tried the Strawberry Lemonade and the Apples and Cinnamon. Both the flavors taste amazing. They are not overly sweet nor do they have the chemical aftertaste. The Chia seeds are very finely crushed and you’d never realize that they are there except for some very tiny bumps that can be felt. We were able to gulp the gel down without water. Energy: With 25mg of Caffeine and the fast absorbing carbs, we noticed an energy spike after 5-10 minutes of popping one of these. The energy release is slower due to the chia mix and this actually keeps you going for a longer time frame. Size: The packing is pretty small and not bulky either. 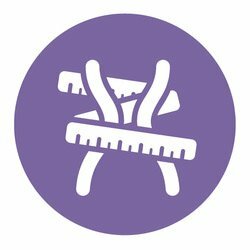 You should be able to tuck in five to six of these easily in a hydration belt. Ease of access: You can easily tear the top off even with sweaty palms. The slightly watery texture makes it easy to extract the gel. SiS or Science in Sport is a brand that we first came across during the Tour de France last year. ‘Team Sky’ happens to be one of their sponsored athletes. They have been around since 1992 and have an ensemble range of endurance nutrition products that are quite popular in the UK and Australia. 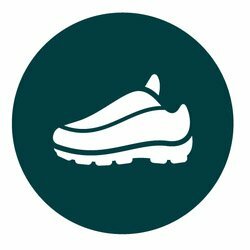 The Go Isotonic Energy Gel happens to be their flagship. Here’s the low down on it. 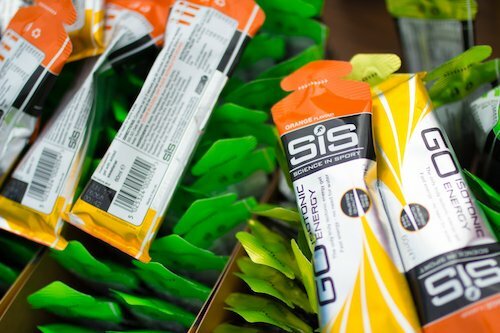 Ingredients: The SiS Go Isotonic Energy Gel gives you 22gms of fast absorbing carbohydrates per gel pack. With a recommended average of 60gms of carbs per hour for vigorous physical activity, you’d need to carry a bunch of these if you are participating in a long sportive event like a triathlon. We’ll come to the size part in a bit. The primary ingredient is Maltodextrin. Palatability: The term Isotonic means that you do not need to gulp water or an energy gel to wash this down. That means that there are fewer chances of barfing or feeling bloated. It has a watery texture which is a welcome change from the chewy energy bars of yore. Energy: The fast absorbing carbs give you an instant hit and keep you recharged for about 30 minutes or so. Clubbed with an energy drink and some food which you’d typically carry, this can easily keep you fueled throughout the event. Size: These are not the smallest-sized energy gel packs. 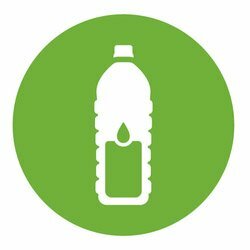 And considering that you’d need at least two of these per hour, you’d have to pack light or reduce the other things that you’d carry in your jersey or hydration belt. Ease of access: The packing is extremely easy to open. We had no difficulty whatsoever accessing the gel during cycling and running. It flows out nice and easy. Possible cons: The only possible downside to the SiS Go Isotonic Gel is the slightly bland flavor. Also, the packet will take up more space than some of the other options in this list of the best energy gels. Clif Shot is the on-the-go fuel version of the famed Clif Bar. It is one of the more popular energy gels these days due to the natural flavoring they use and the compact-sized packets. Also, it packs in a whopping 24gms of fast absorbing carbohydrates per pack making it a slightly better choice than the SiS Go Isotonic gel on a carb-level rating. However, a non-isotonic design means that you’d need to gulp this down with water or a beverage of your choice. Ingredients: 24gms of fast-absorbing carbohydrates in a reasonable-sized pack. The primary ingredient is Brown rice syrup which seems a little strange because Maltodextrin is the more popular and commonly used choice. That doesn’t affect the absorption rate or the taste. So, no complaints! Palatability: Flavor-wise, the Clif Shot rates among the best in the business. They are available in a whole range of natural flavors. We tried the Strawberry, Razz Sorbet, Cola, Double Espresso and Mocha. We loved the Mocha with the blend of natural cocoa and the sweetness of the brown rice syrup. Energy: There is a noticeable energy boost within 5 minutes of consuming the gel. The hit (if that’s the right word for it) lasts for about 30 minutes or so. So, two of these should be more than enough to get you through the last hour of your sportive. The caffeinated version delivers an extra kick with about 100mg caffeine. That’s akin to an 8 ounce serving of coffee. Size: A single gel pack of Clif Shot is slightly smaller than the SiS Go Isotonic gel. It is a 1.2-inch foil pack that features the famed ‘litter-lease’ that prevents the tiny stub on top of the pack from falling off and littering the place. This also allows you to anchor the pack on to your hydration belt or sternum strap. Ease of access: Tearing the foil pack is reasonably easy. However, due to the typical gooey consistency of the gel, it isn’t easy to squeeze out the entire content of the pack. No matter how hard you try, a little amount always remains in it. Possible cons: Not as easy as some of the other gels in the market to extract from the pack, especially when you are cycling or at the end of a marathon with fast-dwindling energy levels. GU Science has undoubtedly been one of the most popular brands in sports nutrition for a while now and the Energy Gel remains their bestseller despite facing stiff competition from newer brands like Huma. Often known as the good-old gel, it has remained unchanged in its flavoring, consistency and ingredient list over the years. But why fix it if it works? Ingredients: The GU Energy gel delivers 20-23gms of fast-absorbing carbohydrates with the primary source being maltodextrin and fructose. It also contains a blend of electrolytes and amino acids that help reduce muscle fatigue and cramping. For athletes and endurance runners who frequently experience cramping, there’s a Roctane version of the gel that contains double the amount of amino acids and electrolytes. Personally, we like the regular version of the gel more than the enhanced one. Palatability: These gels have a slightly thicker consistency as compared to the HUMA or the GO Isotonic gels. You will require a beverage to chug these down. The flavoring is pretty good in the Chocolate Strawberry, the Vanilla bean and Peanut butter versions. However, some of the other flavors, like the Island Nectar are a tad oversweet for our liking. That’s subjective though. They also have a flavorless or bland version of the gel if you prefer that instead. Energy: You will feel an energy surge in 10-15 minutes of taking the gel. It’s not the easiest to digest though and without water or a beverage, you might experience some stomach distress. Size: The packs are pretty small and compact. You can easily pack at least four to five of these in your shorts or jersey pockets without them looking bulky. 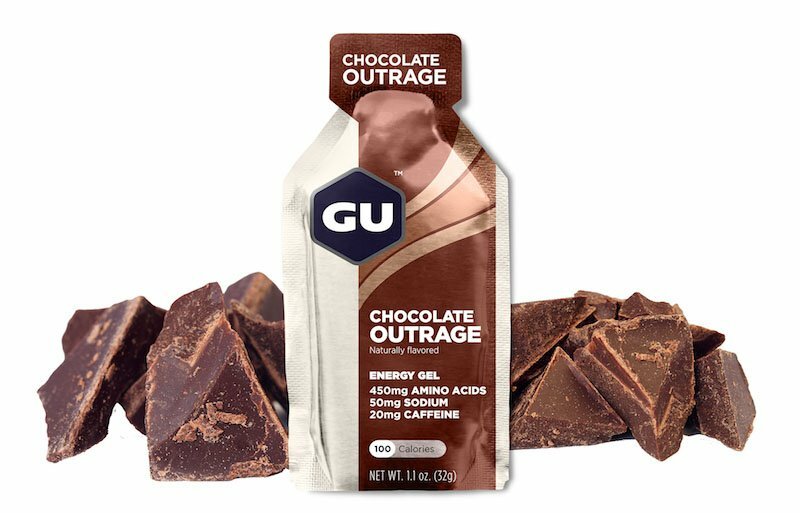 Ease of access: GU gels are frequently used by cyclists and runners because the packs are easy to tear open, even when you are on-the-move. The thicker consistency does make it a tad difficult to squeeze the gel out of the pack during a run. Possible cons: Inconsistent flavoring and a thick consistency/texture are a letdown, especially when you have newer, better tasting options in the market. 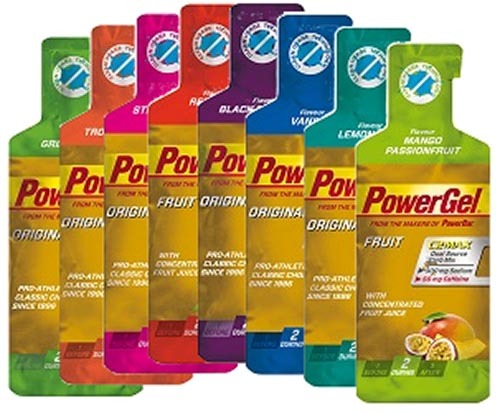 Last but not the least, we have the PowerGel Energy Gel from Powerbar that contains the maximum carbohydrates in a single gel pack that we have ever tested. Club that with the C2MAX 2:1 glucose to fructose blend that delivers more energy in lesser time and you have, what seems like a winning bet. At least, in theory, it does appear like one. Here’s what we found though. Ingredients: With 28gms of carbs in a gel pack, you can do with less of these in your jersey pockets. To add to the carbs, there’s about 200mg of Sodium for electrolyte replacement. Not a bad nutritional profile at all. It is available in both caffeinated and non-caffeinated versions. Palatability: The flavoring is a hit or miss. 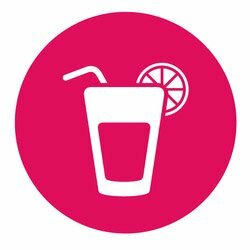 We found some of the flavors to be overly sweetened, a problem that seems to be common with many of the popular energy gel brands. The green apple was decent. But it’s only available in a caffeinated version. The consistency of the gel is thicker than all the others in this list of best energy gels. Powerbar recommends that you consume one pack of the gel with at least 150 ml of water. Energy: The extra carbs and the fast absorption rate gives you an instant energy spike in as less as 5 minutes. The energy boost lasts for almost 45 minutes. Size: The PowerGel energy gel pack is the same size as a pack of GU Gel. It can easily fit into your shorts or jersey pockets as well as your hydration belts. It is compact and lightweight and you can easily pack a lot of these without adding too much weight or bulk. Ease of access: You can easily tear open the pack. But extracting the gel during a run had us fumbling with both hands. A thinner consistency would have made this a lot easier to squeeze out. Possible cons: A thick consistency mars this promising energy gel with one of the best nutritional profiles. 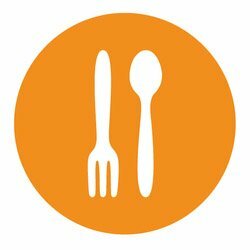 Eventually, it all boils down to the palatability, the nutritional profile and the number of carbohydrates one typically needs to fuel the body. Serious athletes and marathoners need about 60gms of carbs in an hour while a casual runner can do with a lot less. Consider your energy requirements, the flavoring, the caffeine levels and the size before you pick an energy gel for your next endurance sporting event. Sprint Distance Triathlete. Swim, Bike, Run, Fitness. IronMan is on the cards for 2018. Love the tech behind triathlon equipment and spend far too much time testing everything out so you don’t have to!! © Copyright - Best Triathlon Gear | Some recommended products may use affiliate links. 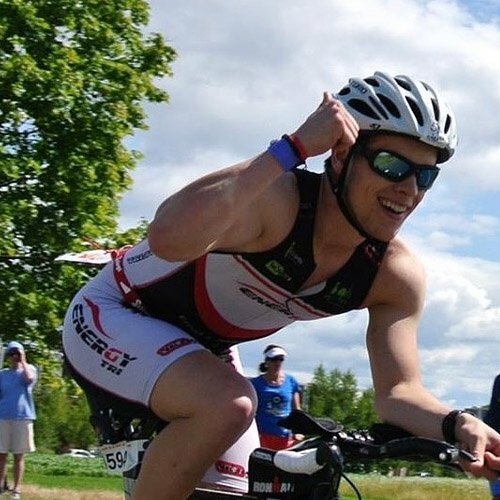 besttriathlongear.com is a participant in the Amazon Services LLC Associates Program, an affiliate advertising program designed to provide a means for sites to earn advertising fees by advertising and linking to Amazon.com.